This post is sponsored by Vital Proteins. Thanks for helping keep this blog going! Don’t be fooled — the name of this recipe actually sounds way fancier than it is. 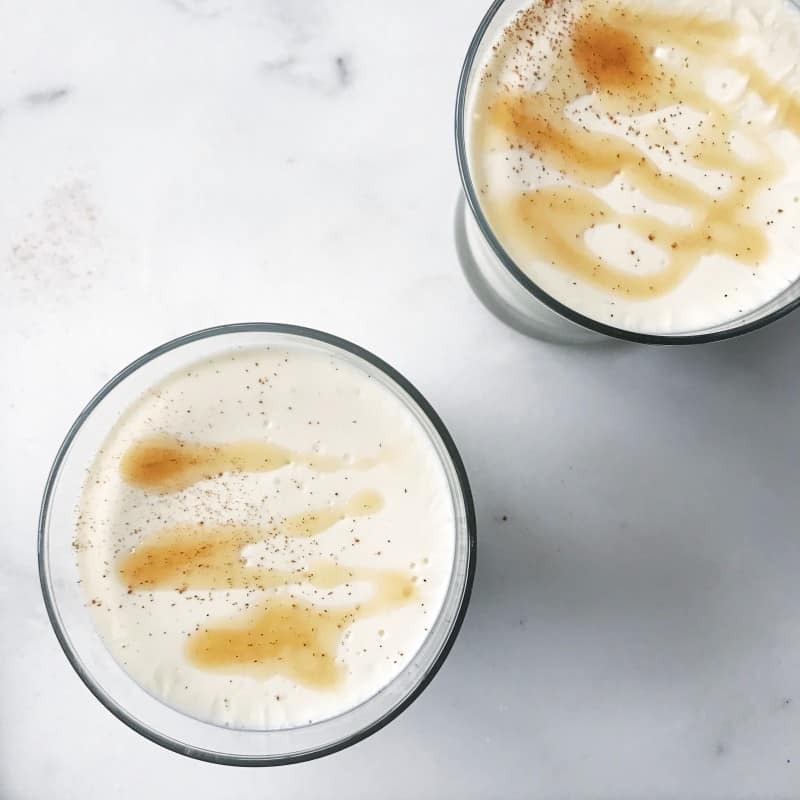 This eggnog panna cotta takes minutes to prepare and is a perfect dessert for any occasion! 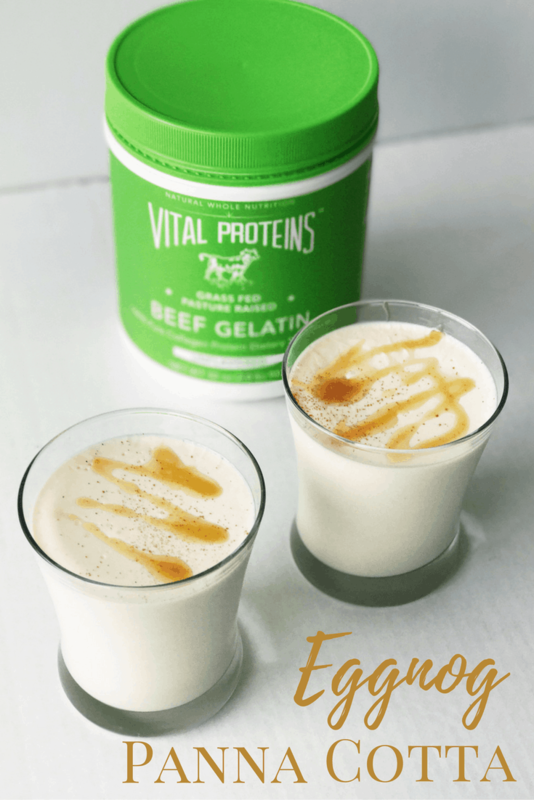 This month I’m using the Beef Gelatin from Vital Proteins. The difference between this and the other collagen peptides that I’ve shared in the past is that gelatin will dissolve in hot liquids but start to gel as the liquids cool. It’s great for gut health (as is yesterday’s post), strengthening bones, and promoting hair and nail growth. I wanted to make a recipe using gelatin that wasn’t your typical marshmallow or jello mold. In doing some research, I came across a popular Italian dessert known as panna cotta, or “cooked cream.” It normally involves heavy cream, tons of sugar, and everything else that makes a delicious, yet decadent dessert. Don’t get me wrong, I love some decadent desserts, but there’s a time and place for everything and considering I’ve been eating 3-5 chocolate chip cookies a day since Thanksgiving (#YOLO), I figured I’d try and lighten it up a bit. In a small bowl, sprinkle the gelatin on top of the 1/4 cup of milk. Set aside for a few minutes until the gelatin is moist. Pour the eggnog into a small saucepan and heat on medium until it is simmering (less than 5 min). Turn off the heat and stir in the honey and the milk/gelatin mixture. Whisk to thoroughly combine. Remove the saucepan from the hot surface and stir in the yogurt. Whisk to ensure everything is combined. Divide the mixture into several small glasses or ramekins and place in the refrigerator for 3-4 hours or until firm. *If you don’t want to make this eggnog-flavored, you can simply replace the cup of eggnog with another cup of milk. Feel free to experiment with flavors and toppings! Have you ever had panna cotta? Do you use gelatin in your daily routine? Sounds yummy! I just ordered a new shipment of vital proteins. I just dump it in my coffee every morning. This looks beautiful!!! We love panna cotta, Adam makes a really, really good vanilla bean one but I’ve always been a bit cautious of using gelatin because I never fully know what went into making it! This Vital Proteins brand is really good about their ingredients. I had never heard of panna cotta until I started looking at things to make with gelatin! Wow. Just wow. This looks so good. It’s magical. And super easy! Give me all the creamy desserts!! I LOOOOVE panna cotta! I didn’t even know about it! It’s so easy! i’m in love with panna cotta! and i adore vita proteins. so yea, this is happening. Great combo girl! I didn’t even know about it and it’s so easy! Obsessed with vital proteins and this is such a creative way to incorporate it into your diet. I’m so boring and just dump the marine collagen into my tea at night. 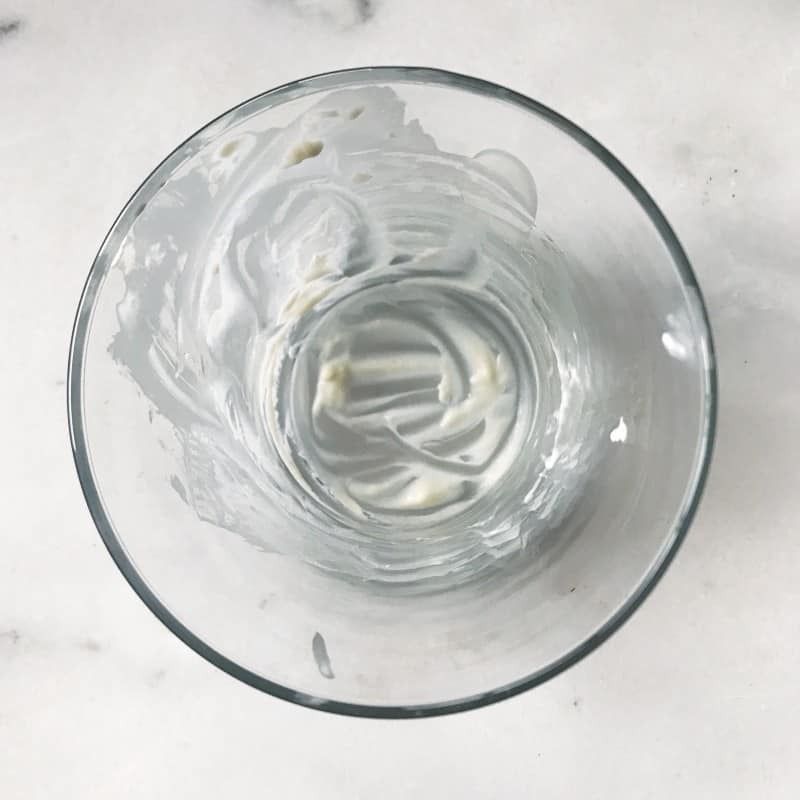 Diana @ Live Lean Eat Green recently posted…What Is Collagen & Why Is Everyone So Obsessed With It?